Every little miracle deserves gentle cleaning. 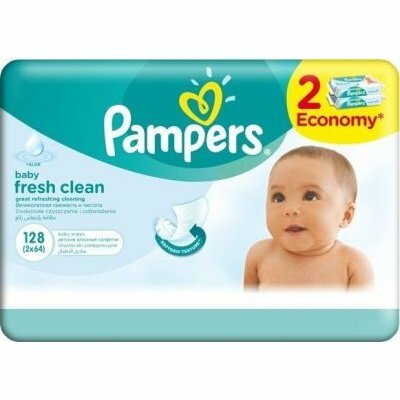 Thanks to Pampers’ unique Soft Grip TextureTM, Pampers® Fresh Clean Wipes are soft and strong to offer gentle cleaning for your baby’s delicate skin. They come with a refreshing scent and are dermatologically tested gentle. They also work to restore the natural pH of your baby’s skin. Unique soft grip texture is designed to gently clenase more with less wiping. Refreshing scent keeps your little one smelling pleasant all day long. Dermatologically Tested so it's safe to use on your newborn’s delicate skin.